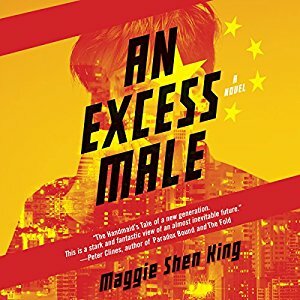 An Excess Male, Maggie Shen King; James Chen, Tim Chiou, and Elaine Kao, narrators (Harper­Collins/Blackstone Audio 978-153845408-4, CD, $44.99, 14 hr., unabridged [also available as a digi­tal download]) September 2017. 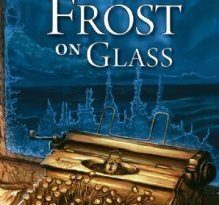 This spec-fic debut explores a potential inevitable consequence of China’s One Child policy in a so­ciety that values boys over girls: a future in which the men vastly outnumber the women. In 2030, the competition for wives is so fierce, women are permitted to marry three husbands. China’s vast population of bachelors are strictly monitored; single men are, quite frankly, distrusted, for fear of where their frustrations might lead them. Gay men (referred to as “willfully sterile”) and those diag­nosed on the autism spectrum (“lost boys”) risk brutal treatment by the government. Lee Wei-guo, a bachelor in his early 40s who works as a trainer, is thrilled when the beautiful Wu May-ling seems to be considering him as a third husband. He worries that he might not be up to the standards of her apparently high-class family, un­aware of the tensions threatening to tear this com­plex union apart. May-ling struggles with a high-energy toddler, while desperately seeking physical affection from her husband Han, who, as a closeted gay man, can never give it to her, and fights repul­sion to her other husband, Han’s brother Double X, a brilliant but incredibly awkward man with undi­agnosed autism. Wei-guo may be their salvation, or the trigger that exposes the dangerous truths they’re barely managing to hide. The three narrators (James Chen as Wei-guo, Elaine Kao as May-ling, and Tim Chiou as Han and Double X) plunge deeply into this powerful, but at times almost overwrought social drama. Using the same narrator for brothers was a great idea: it es­tablishes the connection between them, but Chiou also ably expresses their quite different personali­ties. The suave Han speaks smoothly and fluently, while the anxious Double X speaks slowly, heavily, confused why people always fail to get his point. Kao does a fine job as the love-starved May-ling, as does Chen as the kind-hearted, passionate ideal­ist Wei-guo. 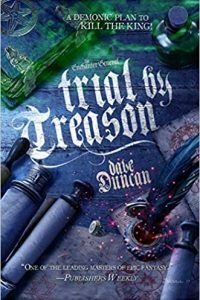 This book is being sold as the “Chinese Hand­maid’s Tale“; I don’t know if it’s quite that, but it’s definitely a thoughtful work of social SF. This review and more like it in the January 2018 issue of Locus.